for stable employment, and for the care of children. To that end, we accept donated vehicles of any condition or mileage, repair what we can, and pass them back into the Frederick County community. We do this in one of two ways at our shop at 528 North Market Street in Frederick. The donated vehicle is taken into our shop and thoroughly examined to determine what needs repair or replacement. Once that’s done and a list of needs is created, the vehicle moves into the repair phase. If it’s a solid vehicle with less than 200,000 miles, it’s repaired, Maryland inspected, and placed into our “program.” As a “program” vehicle, it is reserved in our system until provided, for a nominal fee, to an individual or family referred to us by one of our over 20 partner agencies in the Frederick area. If the vehicle doesn’t meet our strict criteria to be a program vehicle, we repair what needs attention and sell the vehicle from our lot either as Maryland inspected or as is to the general public for the lowest possible price. In both situations, our goal of getting usable vehicles back in service for those who might otherwise be unable to own a vehicle is being accomplished. Additionally, we have a Reduced-Cost Auto Repair Program for individuals and families that currently have a vehicle in need of repairs. 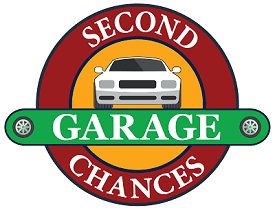 In this program, local residents who qualify economically have repairs done to their vehicles for essentially half of what a normal garage would charge for the same work. To see if you qualify for this program, click here.